The Green Monday Campaign enters it's autumn scheme! 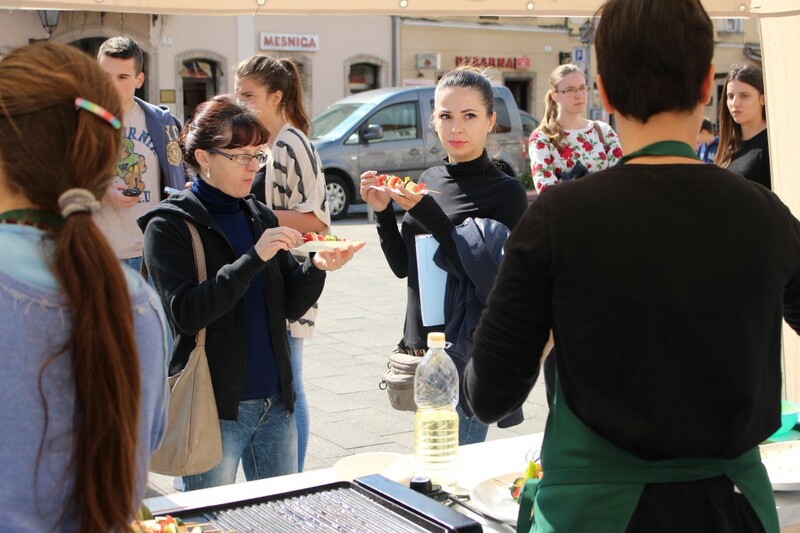 After the vegan banquet in Samobor City Council and the public tasting, Animal Friends Croatia organizes the workshop for outdoor cooking of vegan meals, on the occasion of the World Vegetarian Day. 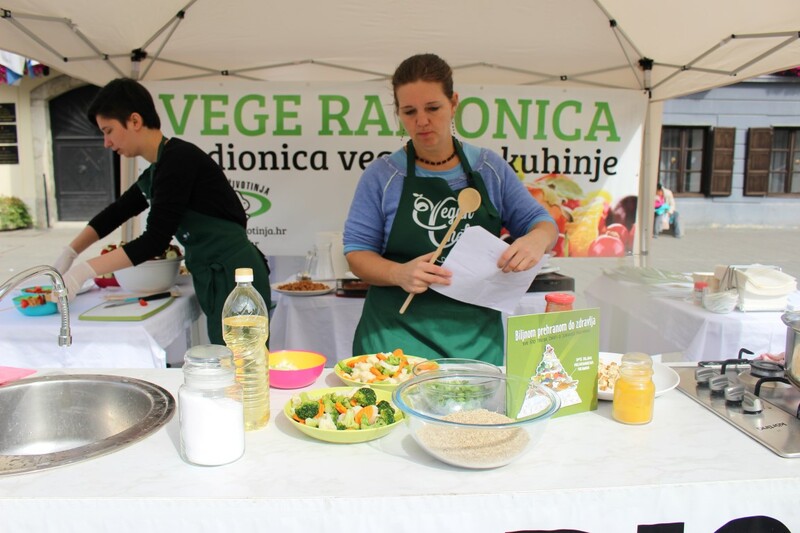 The cooking workshop will be held as part of the Green Monday Campaign at King Tomislav Square in Samobor on the World Vegetarian Day, October 1, 2015, at 11 A.M. Anita Euschen, the workshop leader for cooking for children, will show the citizens of Samobor how to prepare tasty vegan meals, such as grilled vegetable skewers and risotto, as well as the desserts such as crepes and chocolate halva. October 1 is celebrated around the world since 1977 as the World Vegetarian Day. Several years ago, scientists gave alarming warning that in the next 40 years the inhabitants of the Earth will have to give up foods of animal origin if they want to avoid catastrophic food and water shortages, as the consequence of huge and unnecessary spending and use of water and soil as well as the pollution and global warming. 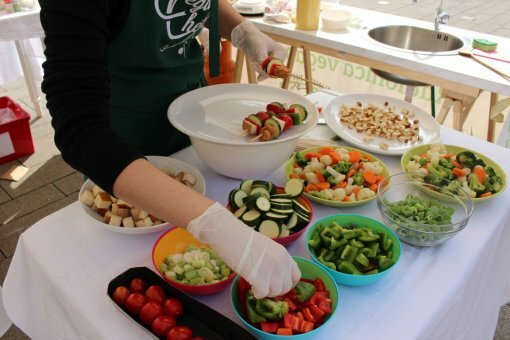 Besides being sustainable, the diet based on plant foods is healthy and tasty. The word "vegetarianism" derives from Latin "vegetus", which means healthy, fresh and full of life, or "homo vegetus", meaning a physically and mentally healthy person. The original meaning of the word shows a balanced philosophical sense of life, not only a diet consisting of fruit and vegetables. 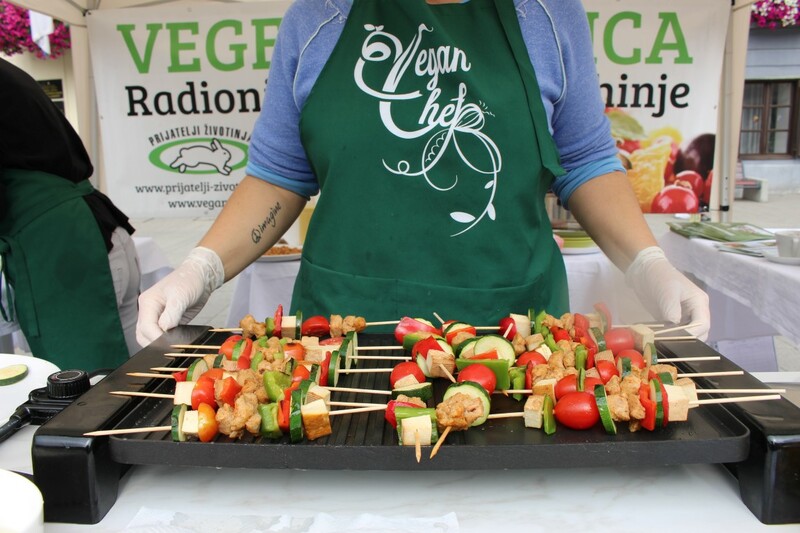 The first vegetarian society was founded in 1847, but vegetarianism itself exists since the dawn of mankind. 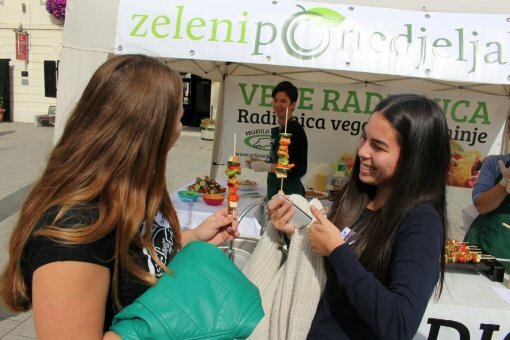 Many famous people were vegetarians, such as Pythagoras, Leonardo da Vinci and Einstein. 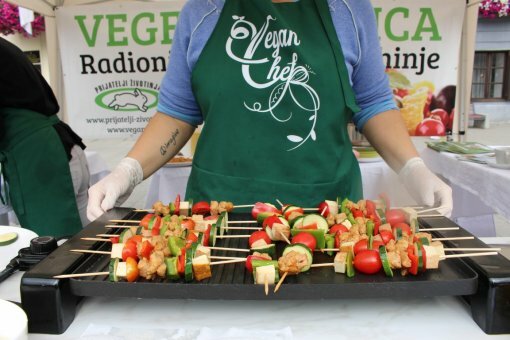 The popularity of vegetarianism is certainly aided by the results of a research that show that vegetarians, and vegans even more so, are on average healthier, fitter and live longer. In addition, today, when on farms 60 billion of animals are tortured and killed for human food annually and the ecological consequences of animal breeding threaten with global catastrophe, it is necessary to stop and think about the sufferings of those sentient beings and start creating a better world for all animal species, including man. A good day to start is October 1st. All of those who cannot make it to the outdoor veggie cooking workshop, can find the recipes for delicious vegetable dishes on www.zeleni-ponedjeljak.com, while they can sign up for the Veggie Challenge on www.veganopolis.net. 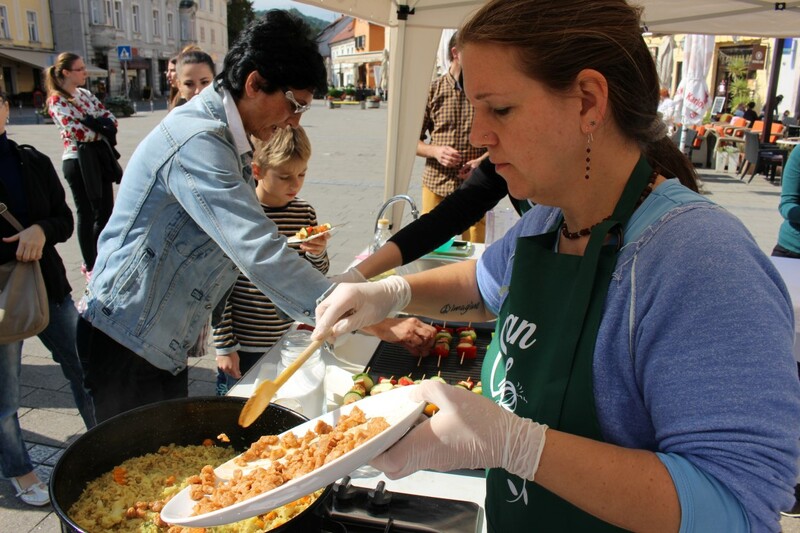 Animal Friends thank the Stores of organic products bio&bio for their donation of products for the cooking workshop in Samobor.